How to Solve Copyright Issues on YouTube. Did your video got flagged on YouTube because of copyright issues with the background music? Have you received a copyright notice? Did you use royalty free music and still get copyright claims from a third party? Let's examine why that happens, and how you can resolve copyright issues on YouTube, as well as how to dispute copyright claims. Copyright owners are very careful and vigilant when it comes to protecting their material. There are a lot of internet services that help them do that, and YouTube "Content ID" is one of these services. So if you upload a video on YouTube and get a copyright notice (copyright claim), you are dealing with the system. YouTube Content ID was developed to help content owners (composers and others, publishers in our case) and their distributors to identify, monitor, and monetize use of their music on YouTube. This does not necessarily mean that you are doing something wrong. There are a lot of cases when the Content ID system matches content which is similar to, but not actually the same content. This happens especially often with classical music. Also, there are a lot of cases when several different companies representing the same artist or copyright owner claim copyrights on the same content simply in order to greedily take as much compensation as possible. Authors might not even know that their content was uploaded to the Content ID system. So it depends on the situation. In any case, if you have a license (or permission to use the music) you do not have to worry at all. You only need to follow the simple instructions below to resolve the copyright issue. Do you have a license (permission to use the music), and did your video still get a copyright claim? This is a very common case as well. This may happen even if you have obtained a license from a music licensing company, purchased music on a royalty free music website, or gotten permission directly from the copyright owner. Videos may still get copyright claims, and you may receive copyright notices. Why? Unfortunately, the Content ID system (like many of the copyright claimants on YouTube) does not have extrasensory perception and cannot automatically detect, or otherwise learn, whether you have a license (the rights to use the music) or not. The system likewise cannot learn by itself what kind of rights you may have been granted. For instance, it does not know whether you have the rights to use the music as background audio, the rights to use it for commercial or business purposes, the rights to monetize the video on YouTube, etc. There is also no direct way for a music licensing company, or a website you purchased music from (rather, a license to use the music), to automatically exchange information with Content ID system. So claimants cannot automatically be notified as to the fact that you have purchased a license, and that you have the proper rights to use the music. So you will always need to be able to dispute a copyright claim on YouTube, and to provide the claimant with a confirmation showing that you can legitimately use the music as you have. What do I need to solve copyright issues on YouTube? You need some kind of proof confirming your rights to use the music (permission form copyright owners, their distributors, music licensing companies etc.). This might be a copy of your license agreement. You may not have a “paper” license agreement if you purchased a license online. In that case, you should provide a direct link to the license terms and conditions on that website, and a direct link to the song you purchased. Without that information it would be difficult to win a copyright dispute on YouTube. Nowadays it’s very simply to purchase a required license online in minutes, as there are a lot of royalty free music websites. Here at NeoSounds.com we offer only premium royalty free music, and we have a very simple music licensing solution. With each purchased song, you get an official license document (a PDF license certificate) that can readily help you fix a copyright problem on YouTube should you have one. This document includes all the required information that claimants will want to see, such as the name of the person to whom the license was issued, the titles of the purchased songs, the names of all authors and publishers, an original link to the song on the website, and detailed license terms and conditions confirming the scope of the rights you have been granted. Download your license document (certificate). It is available in your account in the Download Center. The license document includes all required information, such as the name of the person to whom the license was granted, the title of the music track, the name(s) of the author(s), the link to the music track on the website, and the detailed license terms and conditions. Upload your license document to any free file share system (like DropBox or Google Drive) and make it public for some time. 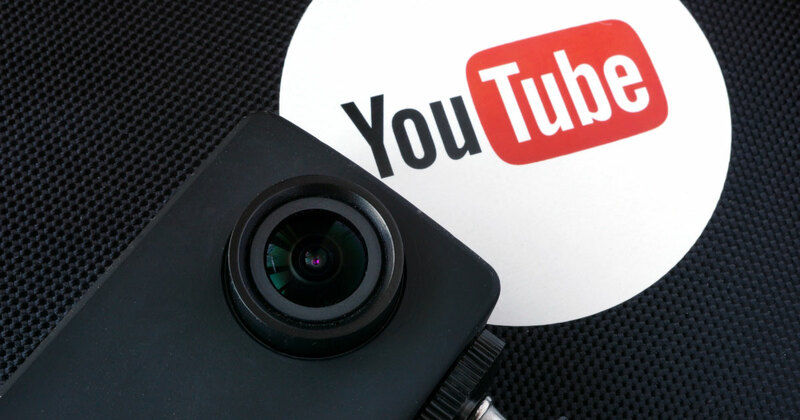 Unfortunately, at this time, there is not the option of allowing you to attach any files when disputing on YouTube, so you'll need to include the link in your dispute so that the claimant can make sure that you have a proper license, and that the scope of the rights you were granted cover the use of the music on YouTube. Go to your Video Manager on YouTube and locate the video having the message (link) "matched third party content" or "video is blocked in some countries" and click the link. Review the details on the matched content and start disputing the claim by clicking the link below "I believe this copyright claim is not valid". There may be a “Dispute” button instead of this link. In the next step choose "I have a license or written permission from the proper rights holder to use this material". Submit / confirm your dispute.